When it comes to having the right meter for your needs, FreeStyle aims to make life just a little bit easier thanks to their innovative technology. 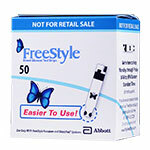 Abbott Laboratories, maker of FreeStyle diabetes testing products, is the leader in innovative diabetic product development helping patients, like you, manage their diabetes. By using this innovative brand's blood glucose test strips, glucose meters, and other advanced products for your management needs, you can regain control over your life - and your health. Diabetes mellitus is one of the leading causes of disability and death in America. 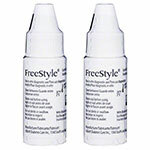 It is characterized by high blood glucose levels which cause defects in insulin production, insulin action or both. Diabetes can lead to long-term complications affecting almost every part of your body and has been shown to cause stroke, amputation, blood vessel disease, blindness, nerve damage, and kidney failure. However, you can manage diabetes through careful eating habits, an exercise program, weight management, oral medication and routine blood checks using a quality FreeStyle meter and other glucose testing products. When you have diabetes, convenience is not always an option. Carrying your blood glucose meter and blood glucose test trips is rarely convenient - regardless of your lifestyle. This is where a FreeStyle meter comes in handy. 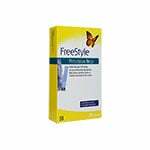 Testing your blood glucose levels with FreeStyle diabetic products is easy! Absolutely no coding is required for convenient testing. Fast, 5-second average test time. Large display for easy visibility. Comfortable and easy to hold. Stores up to 400 results with date and time. Provides results in 7, 14 and 30-day averages. 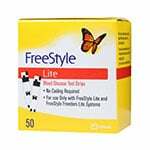 Made to offer reliable results with every use, the FreeStyle Lite test strips complement the state-of-the-art Lite glucose meter and their lineup of Freedom Lite blood glucose meters. 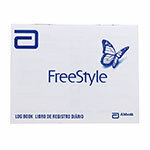 The original FreeStyle Glucose Test Strips are also available which are compatible with the original model, Flash, and Freedom blood glucose monitoring systems. These blood glucose meters feature alternate site testing, giving you the option of testing on your fingertips, forearms, upper arms, thighs, calves, and hands - so routine testing is virtually pain-free. 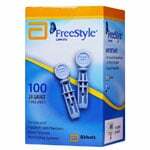 Thanks to their versatility of use, these glucose test strips help you avoid the dilemma of sore fingers! 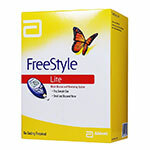 Works in sync with the FreeStyle Lite glucometer and Freedom Lite blood glucose meters. Fast, 5 second average test time. 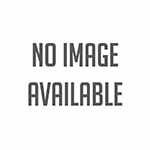 Alternate site testing - test elsewhere besides your fingertip for comfort and ease! No manual coding of the glucose meters is necessary. 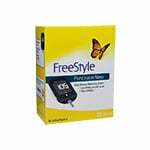 The Lite glucose meter and the Freedom Lite are advanced tools to help you monitor your blood glucose levels throughout the day. 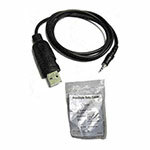 The meter is small, lightweight and portable. 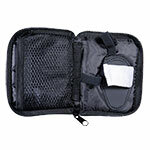 It comes with a convenient carrying case designed for discreet testing. Just keep your Lite meter in its case during testing for enhanced privacy. Accurately and painlessly gather test results. Navigate easier with large meter buttons. 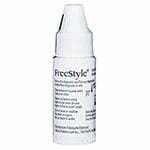 Test your glucose level with just a .3 microliter sample. Test blood glucose levels on your fingertips, forearms, upper arms, thighs, calves and hands. Self-managed care is an integral part of life for those with diabetes. Here at ADW Diabetes, we make testing easier and more affordable. 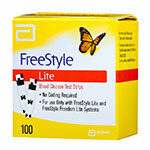 We always offer low, wholesale prices on the Lite diabetic test items you need the most including FreeStyle Lite glucose test strips. 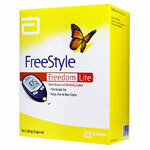 We have a huge selection of today's leading brands in diabetes management and control. Orders are shipped quickly, in most cases, leaving our warehouse within 24 hours, to ensure you have the supplies you need at the ready. Don't forget about our Diabetic Coverage AutoShip Program, where you get the peace of mind of having your orders automatically delivered to you where and when you need them! We are committed to being your source for all your diabetes needs. We offer diabetic supplies with a focus on affordability to help customers save up to 60% on select supplies. 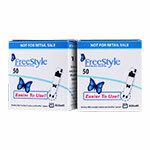 We offer the best prices and service for all your diabetic supply needs. Please contact us if you have any questions. We want you to be 100% satisfied with your shopping experience and the products we offer.